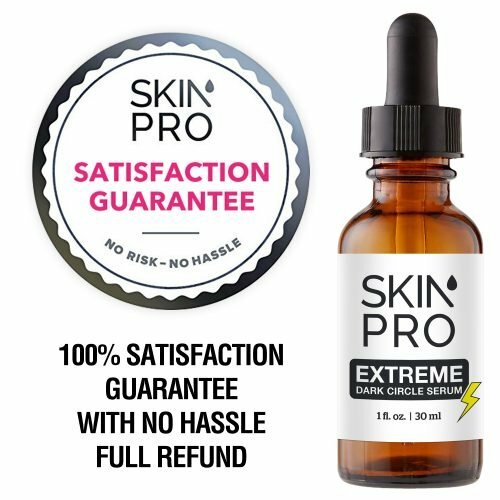 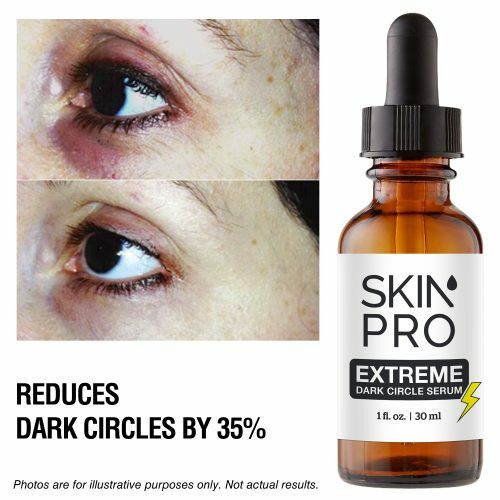 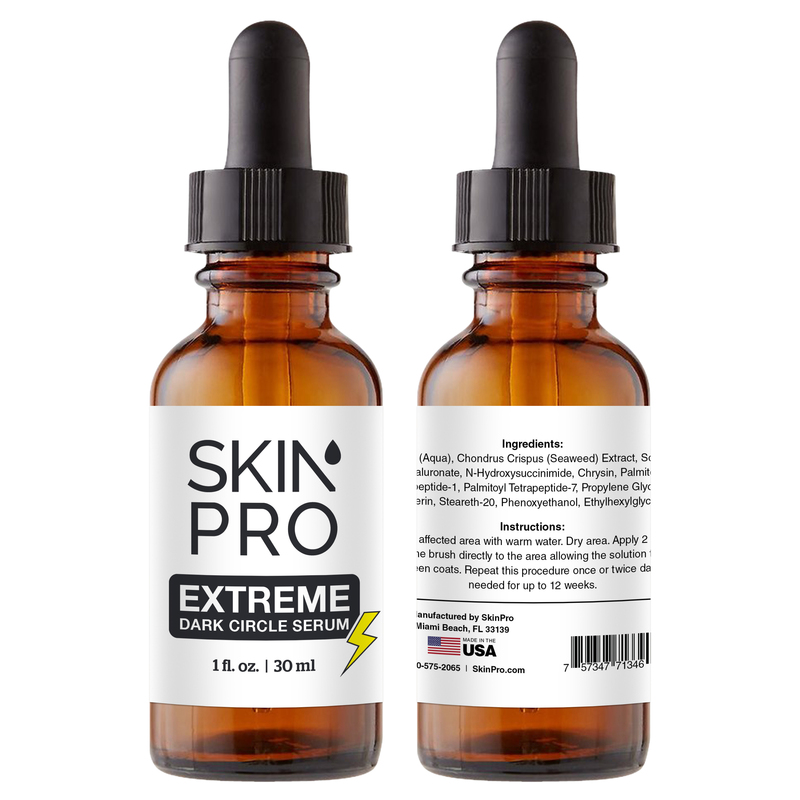 If you are frustrated with your eyes looking tired no matter how much rest you’ve been getting, the SkinPro Extreme Dark Circle Serum is the answer you’ve been looking for. 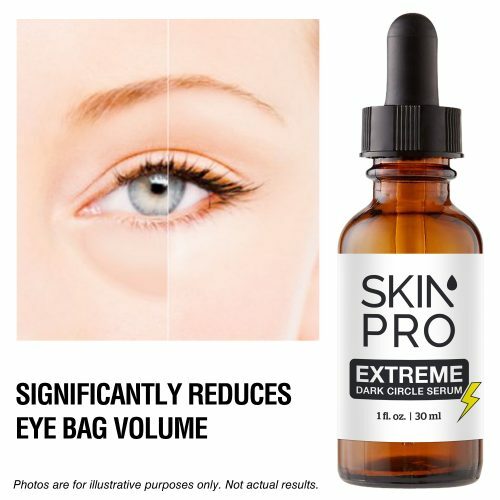 This product can reduce the puffiness and discoloration around the eye area by up to 35% in as little as 8 weeks and diminish the signs of premature aging where it is most visible. 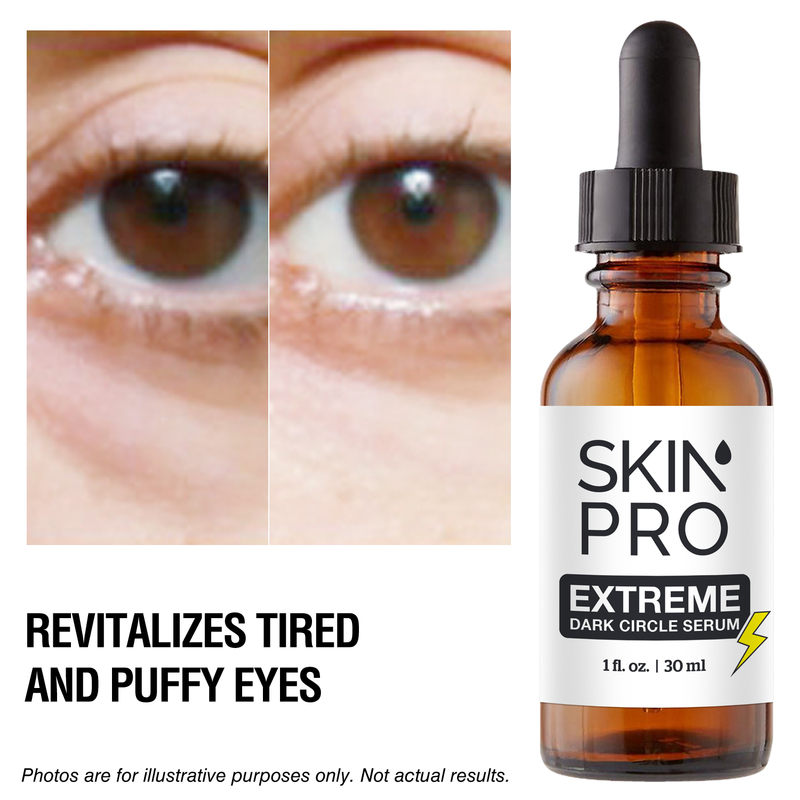 Because of the delicate nature of the skin around the eyes, it is more susceptible to aging. 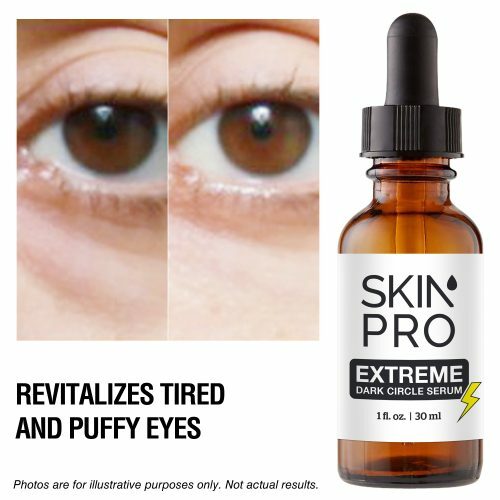 This manifests in visible discoloration, thinning of the skin, wrinkles, and swollen bags under the eyes. This is caused by natural aging of the skin, exposure to the sun, poor sleep, as well as genetic and environmental factors. Our Extreme Dark Circle Serum is formulated to specifically target this area of skin and bring back a more youthful appearance. 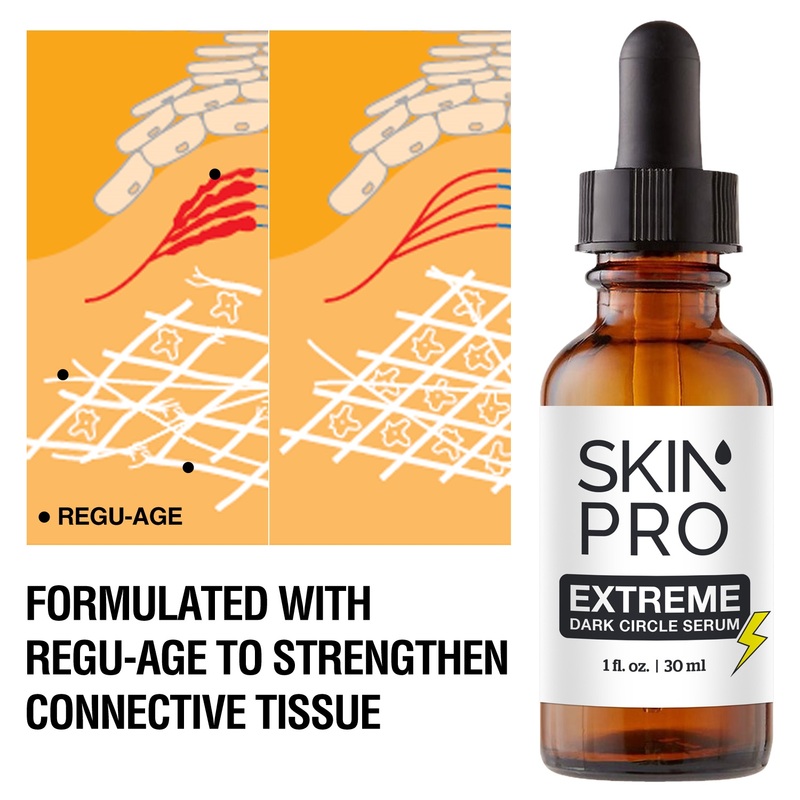 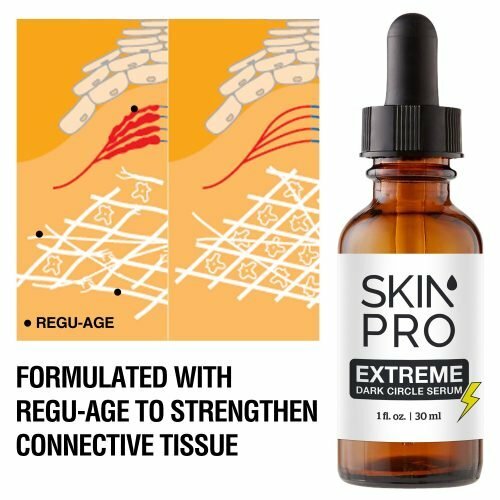 Fortified with Regu-Age, a potent anti-aging ingredient made from soy and rice peptides, this proprietary blend made by our cosmetic pharmacists will increase microcirculation, slow the breakdown of collagen, inhibit free radicals from damaging the skin, and fight oxidative stress to reduce puffiness and inflammation. 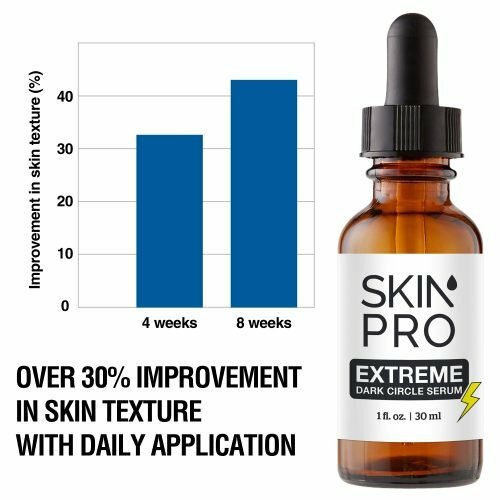 Water (Aqua), Chondrus Crispus (Seaweed) Extract, Sodium Hyaluronate, N-Hydroxysuccinimide, Chrysin, Palmitoyl Tripeptide-1, Palmitoyl Tetrapeptide-7, Propylene Glycol, Glycerin, Steareth-20, Phenoxyethanol, Ethylhexylglycerin.